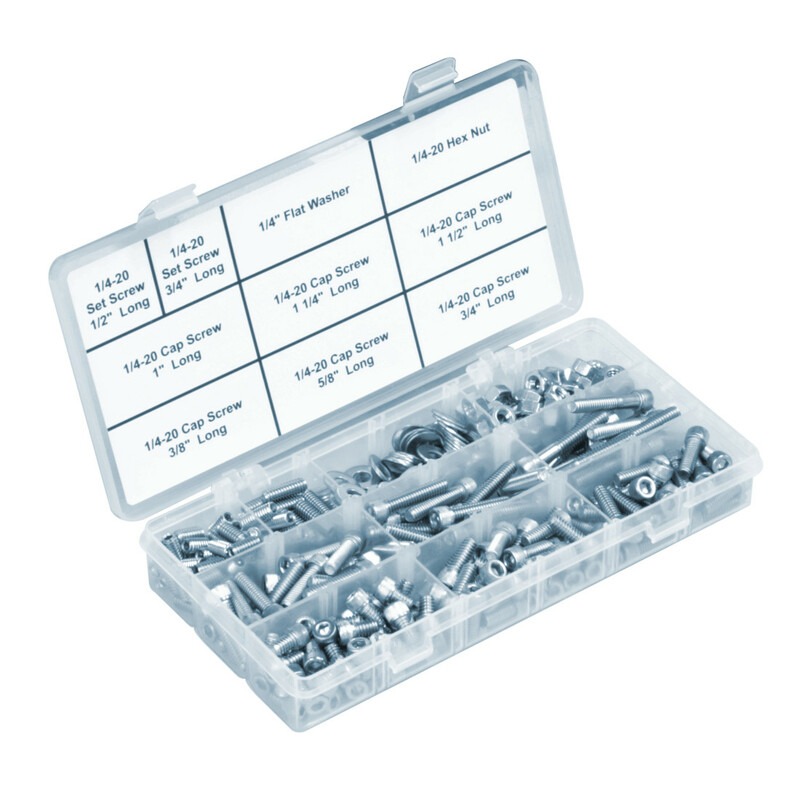 Base Lab Tools screw kits include all the common fasteners used for setting up an optical breadboard or table. 1/4-20 and #8-32 most commonly used for imperial breadboard setups are sorted into individual compartments making it easy build an optical setup. As each screw type is conveniently labelled, this allows for quick re-ordering of replacements which are also available from Base Lab Tools. Custom screw kits and empty screw kit containers are also available.